Actions we can personally take to help know that we are heading in the right direction on our path to optimal oral health. There are many things we can do in the comfort of our own home that provide us tremendous insight and feedback whether the actions we are taking to improve our oral health are actually helping or not. We consider ‘getting to know your mouth’ to be the first step to dental self-empowerment. Also important is tracking your saliva pH as the acid/alkaline balance in the mouth provides us with a quantitative measure to actually see that what we are doing is helping or not. However, part of what we call ‘dental self-empowerment’ is knowing when to enlist the help of our dental team to assist us in gathering important, measurable information to determine that we are heading in the right direction. One important piece to the puzzle is a simple test most dental offices do – the Periodontal Depth Test. This simple test is a measurement of the depth of the gum pockets around each of our teeth and go a long way toward helping you have a successful periodontal treatment. You may recall being in the dentist’s chair while the dentist is poking around your mouth and calling out numbers to their dental assistant like, “2,3,2… 3,4,2… 2,2,3…” etc. This is your dentist performing a periodontal depth test. This test measures how deep the gum pockets are at 6 points around each tooth in your mouth. Why is the periodontal depth test important? The periodontal depth test provides us with some very helpful feedback. Gum pockets start at 1mm deep and as the infection progresses over months and years, the pockets become deeper. By knowing what specific areas are most challenged, we can focus our home care to address those areas of greatest stress. 3. Knowing the actual depth measurement (in millimeters) is critically important to be able to determine how to best plan your home care habits. If the measurements are greater than 4mm deep, you’re going to need specialized tools and education to know how to most effectively address this issue. While it’s great for your dentist to have a record of the depth of your gum pockets, this information is much more precious to have in the hands of someone empowered to take greater care of their oral health. After all, the dentist isn’t the one who is going to be making sure to disrupt and disorganize the bad bugs implicated with gum disease on a daily basis through their diligent home care. You are. Having a recent record of your gum pocket depths provides you a powerful view of exactly what areas around which teeth need the most attention. We encourage our OraWellness community (that’s you!) to put the periodontal depth chart (the record from your dentist) in a plastic sleeve and have it handy in your bathroom for regular review. Best is to put your chart back to back with a copy of your OraWellness Mouth Map where you recorded your own findings in your mouth. Not only does the chart show you which teeth have the most challenging areas, it also tells you exactly where around each tooth you need to focus more attention. While the periodontal depth test is helpful, it doesn’t tell us everything. 1. How active the gum disease is today. You can have gum pockets that aren’t active because you have taken appropriate action to address the infection. What the periodontal depth test does tell us is how active gum disease has been in your life, not how active it is today in your mouth. 2. What specific types of ‘bad bugs’ are thriving in your gum pockets. This knowledge of what species of bugs are colonizing your gum line is a tremendous bit of information to determine what stage of gum disease you are dealing with. Tests to determine specific bad bug species range from in-office live tests to sending out samples to a lab. Our favorite is when the dentist takes a plaque sample and puts the sample under a certain type of microscope (science buffs out there, it’s called a phase contrast microscope). It’s very powerful when you see for yourself the activity that swims around your gum tissue. If a picture is worth a thousand words, you can imagine how motivated you might be after seeing live activity of bad bugs from your gum line! This in-office test can also provide the very empowering feedback once you have been actively caring for your oral health. Imagine how good it would feel to go back to your dentist and have them show you on their microscope that you have successfully eliminated the nastiest species of bad bugs! Is it actually possible to reverse the damage of gum disease? Conventional dentistry generally agrees that gum disease is a slow, irreversible destruction of the gum tissue and underlying jaw bone. And arguably, we understand why they have this perspective. After all, they are thinking from the standpoint of the dental team addressing this issue. Here’s a link to what originally was a very long testimonial from a woman who applied the techniques and education we teach in our HealThy Mouth System. We ended up turning it into a case study. There’s nothing special about what this woman did to successfully reduce her gum pockets. And you’ll be shocked how quickly she was able to accomplish her ‘dental miracle’. We have thousands of people in over 50 countries who have stunned their dentists by using the tools and techniques we teach here at OraWellness. We look forward to hearing your success story too. In a future article, we plan to teach how to read a periodontal depth chart so you can maximize your benefit from the information this simple test provides. We hope this information helps you along your path to greater oral health. As always, please share this with anyone you know who might benefit from the information. I had many pockets of 3, 4 and 5, and within a year of using orawellness, they were down to 1,2 and 3! Wow, congratulations! Thank you so much for sharing this with us. We are grateful to be able to help you along your path to greater oral health! Just wanted to let you know that I had pretty bad gums. I have been using Heal Thy Mouth Blend for a few years, and the last dental visit I had a periodontal depth check and there were no more 4’s and 5’s!!! Most were 2’s and I even had a 1! Thanks so much for what you do! You go Rebecca! Congratulations on creating your own ‘dental miracle’! Thank you for stopping by to share your story with us. I think your words here are much more of a sales pitch than we could ever write! We are so honored to be part of your journey to greater oral health Rebecca! Thank you for everything, great blog! I absolutely love the HealThy Mouth Blend and have friends now hooked on it! I tried an experiment over the last year with just the blend, the bass toothbrush and your favorite floss- no regular toothpaste at all. My teeth felt amazing- and I’d never really had any problems with my teeth before- no cavities or fillings. Before I started my year long experiment, I had my gum depths measured and kept a record- a few 3’s and a few bleeding spots but nothing to really worry about. This time, a year later, they commented on how clean my teeth were but I had 3 pockets of 4mm depth and more bleeding. Seems a bit weird that my teeth were cleaner but below the gum line was worse!? I purched your HealThy Mouth System with pocket applicator in hopes that will help. Any thoughts or suggestions as to why that would happen? Thanks!! Anybody out there with reeaaallllly deep pockets,like 12 and 13 with a success story? In the spirit of helping you along your path, you don’t have any time to waste. Given a 12mm pocket, you don’t have a lot of ground to still give up to the bad bugs implicated with gum disease. I hope this helps you along your path to greater oral health Armida. 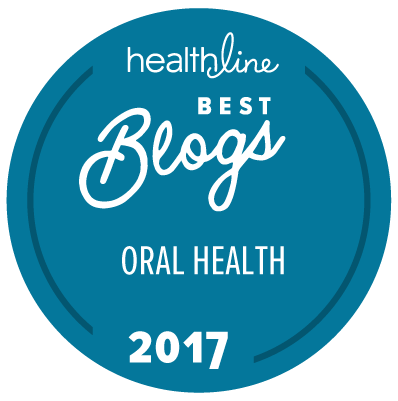 We are so honored to be part of your journey to greater oral health. We look forward to hearing more great news in January! I have successfully used the HealThy Mouth System with OraWellness support to address periodontal problems that my dentist recommended seeing a periodontist. I have not had to see the periodontist since my dentist originally recommended that option. I started using OraWellness products a year ago. I have had serious periodontal disease for many years, complete with loose teeth, and I was told by my dentist that I needed three teeth pulled immediately, and that I would likely lose the rest of my teeth eventually. After watching my boyfriend suffer with dentures (and eventually discarding them) I decided I didn’t want to go that route, and I searched on the internet for a solution, eventually finding OraWellness. After diving wholeheartedly into their protocol, I can say that I no longer have any pain, and my loose teeth have actually tightened back up in my gums! I have not lost any of these diseased teeth. Thanks OraWellness! At 70 years of age, Orawellness has given me a new lease on life, literally! When I first discovered your company, I suffered from bleeding gums, periodontal disease, four deep pockets, my gums were receding, teeth were loose, and I clenched my jaw during sleep, injuring my cheeks as well as my teeth. I purchased the HealThy Mouth System to get started. As I used the product, I immediately noticed that the bleeding gums was getting better. Soon, the bleeding stopped completely. I used your OraWellness pocket applicator to treat the stubborn deep pockets I had between my back molars. I had already tried many things to treat them, but with very limited success. My teeth now feel very firm in my mouth, not loose like before. In fact when I floss now it is hard to get in between the teeth, they are so tight! Fabulous. Then I noticed, my gums were regrowing, they were no longer receded. And another thing, something that was totally surprising and unexpected. The pain from my rheumatoid arthritis was better. It became noticeably better right after brushing. If I missed a brushing, I noticed that the pain and discomfort was worse, so who knew! But a wonderful result none the same. And I should add that it continues to improve. What a wonderful blessing for an older person. Oh, and I forgot to mention it, but it is no less important, I no longer clench and grind my teeth when sleeping! Thank you so much for your wonderful products, research and teaching tools. I will be eternally grateful. Your articles, videos and kit instructions are absolutely excellent. You explain concepts and principles behind your information, you engage in debate with professionals across other health fields, and I agree with one review you published that you are great educator. I like your balance between alternative care and conventional care, presented without judgement. You are offering invaluable support to people who want to take responsibility for their own health, and I am so glad I found you. Many thanks for your excellent products, kind hearts and smart brains.